If you’re a cat lover then you’ll know how hard it is to stop at having just one. But while we're falling in love with our new feline friend we often forget how our current cat might feel about the new arrival. Most cats tend to be loners at heart. Stubborn, sensitive and set in their ways - they are not the easiest animal to win over. Your new family member is going to feel a little nervous when coming home for the first time - especially if they pick up the scent of another cat who currently rules the roost. It is your job to make sure they feel as safe and secure as possible when they first put their little paw through the door. If they are panicked or uncomfortable when meeting their new housemate, issues can ensue. Giving them their own space - a room not used very often by other furry residents - will help them settle in more quickly. Be sure not to lock them in though - for when they want to explore their new home and meet their family! Place all of their essentials in this room: a cosy bed, a familiar smelling blanket, a food bowl, a water bowl, a scratching post and, of course, a FELIWAY diffuser. Even in the feline world, first impressions are very important. 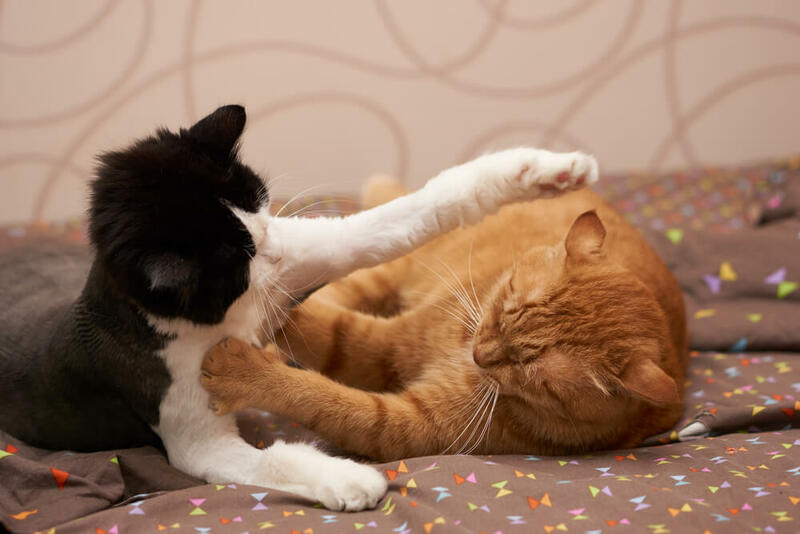 Before you can say Puss in Boots, your cats will have begun to work out whether friendship is on the cards, which is why their first meeting should be timed carefully - once your new cat is more settled and supervised. To help the bonding process, try swapping scents between your cats before they meet. This can be done by rubbing a cloth on one cat's cheek and then placing the cloth with the other cat. You now need to make sure your cats stay friends by sticking to the feline code. Each kitty should have their own set of resources: food bowl, water bowl, scratching post, bed etc. Having to share any of these could result in some serious roommate rivalry - if this happens, flee the scene! Don't be alarmed if the occasional 'friendly' spat does occur. 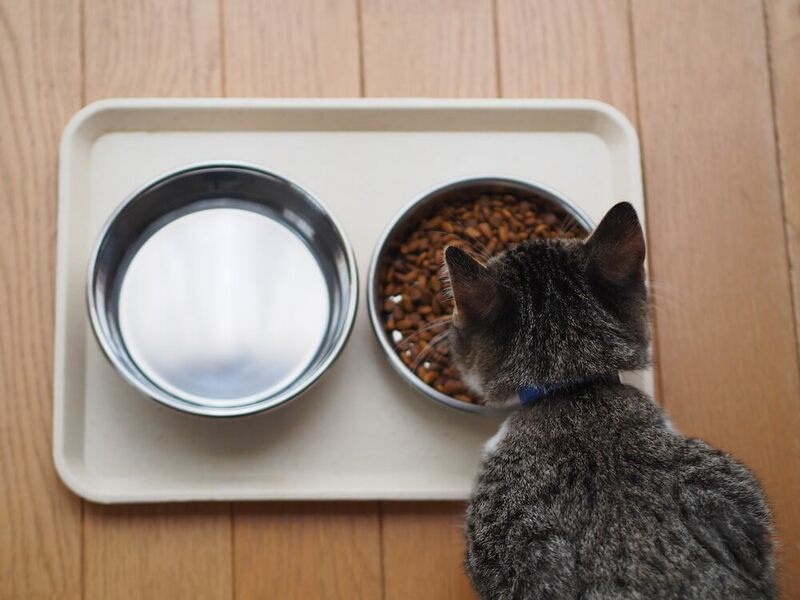 A simple change, such as moving one of your cats’ food bowls or creating more high up hideouts could be the solution to the problem. If there are any ongoing conflicts consider a FELIWAY FRIENDS Diffuser. Plug it in at all times to help reduce the likelihood of a war breaking out. If fighting does continue, however, a visit to the vet should be your next step. Following these 5 tips should result in a lifelong friendship between you and your furbabies. They'll become best buddies and cuddle sessions will be that much fluffier.